For IT News Week 4 Feb 2016. PR - Mar 7, 2016 - Toshiba unleash 6th gen Intel® CoreTM processors in its business ultra-mobility Z Series. After a short hiatus, the National ICT Association of Malaysia (PIKOM) will re-launch the highly popular PIKOM Fair – the much awaited retail ICT event in the country – well regarded as the landmark cash and carry event for retailers and consumers. Featuring some of the world renowned brands from the I.T. and Gadget industry, PIKOM Fair promises to provide more bargains and surprises for consumers. To be held in March, the upcoming PIKOM Fair will be held at the Kuala Lumpur Convention Centre on March 12-13, 2016 and then at the Johor Persada Johor International Convention Centre from March 19-20, 2016. This year’s PIKOM Fair is set to showcase several key changes towards providing greater value to participating brands and to enhance the experience of attending consumers. More than 300 teachers in the state of Perak will benefit from the incorporation of MY Teachers TryScience into science and mathematics syllabus. MY Teachers TryScience is based on IBM Teachers TryScience, an online resource of 150 lesson plans, for teachers to create and customize hands-on learning materials. The design-based learning is aimed at changing the traditional classroom culture of rote learning and textbook based instruction to the use of practical work to understand scientific theories and concepts. The pilot programme is steered by Universiti Pendidikan Sultan Idris (UPSI) in collaboration with IBM and targets science and mathematics at the lower secondary level. An estimated 15,000 students from 300 schools are expected to benefit from the programme. In talking with our customers, analysts, and industry observers – it has become apparent that the cloud-first, mobile-first world is driving transformations in how businesses engage with their customers and run their operations. The cloud offers more than just ease of deployment – it drives how businesses use software and technology; it is about what they can do with the data that their business generates; it’s about getting actionable insights and being predictive and proactive. With this next important phase in the evolution of the cloud, intelligence will play a critical role in helping businesses differentiate themselves. In line with this, we are announcing the launch of Microsoft Dynamics AX – the new release of Microsoft’s flagship ERP product for enterprise, which is now available in 137 markets and in 40 languages. The new Dynamics AX moves beyond traditional business solutions and brings ERP, business intelligence, infrastructure and database services together in a single offering, empowering organizations to run industry-specific and operational business processes that are extendable with specific solutions from partners. In an effort to provide businesses with a peace of mind when it comes to cloud adoption security, Oracle has introduced the all new StorageTek Virtual Store Manager 7 System, the most secure data protection solution for mainframe and heterogenous systems for public cloud, built to integrate seamlessly with Oracle Cloud Service. Powered by Oracle’s SPARC M7 Processor, the StorageTek delivers wide-key encryption for data at rest and uses Silicon Secured Memory for data protection. Chenbro, a pioneer specializing in design and manufacture of mechanical solutions for server and storage systems announces its new high-performance 2U server/storage chassis - RM23624. 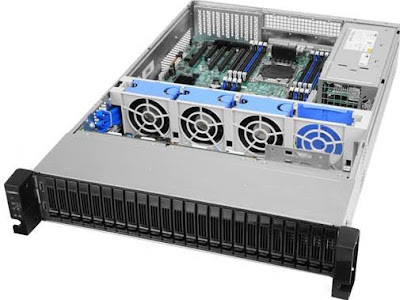 Features 24 hot swappable 2.5” drive bays for HDDs or SSDs and a 12Gb/s SAS expander that provides higher performance and reliability that data centers demand. The RM23624 provides a high density storage solution that achieves superior IOPS performance with the on-board 12Gb/s SAS expander to meet the growing demands of high speed storage solutions. HDS announced that Jack Domme will lead Hitachi's Social Innovation business reporting directly to Hitachi, Ltd. President and CEO, Toshiaki Higashihara. He will focus on accelerating Hitachi's Social Innovation business, primarily in the areas of the Internet of Things (IoT) and the development of smart cities. To focus on his new role, Domme will be leaving his position as CEO of Hitachi Data Systems. Ryuichi Otsuki will succeed Domme as CEO of Hitachi Data Systems. Otsuki joins HDS from his role as Vice President and Executive officer, General Manager of Social Innovation Business Promotion Division and Deputy General Manager of Corporate Sales & Marketing Group at Hitachi, Ltd. Otsuki joined the HDS board in 2009 and has been instrumental in the development of HDS' long-term strategy to expand its portfolio in the areas of infrastructure, content and analytics linking to Hitachi's Social Innovation vision – making the Internet of Things that matter a reality. Sydney-based Animal Logic, one of the world’s most accomplished digital animation and visual effects studios, has selected an integrated offering from Brocade for its IP switches and a complementary solution from EMC, for storage. Top-of-the-line Brocade VDX 8770 switches, working in tandem with new IP-connected EMC-clustered storage, are architected to deliver low-latency throughput needed to keep pushing the boundaries of digital animation and visual effects. Using a range of Brocade VDX 6740 switches for server connectivity and Brocade ICX® 6450 switches for management connectivity, Animal Logic has eliminated complexity and made network operations far more agile and responsive to the dynamics of its production workflow. Toshiba Singapore Pte Ltd, the Asian headquarters for Mobile Computing Solutions and Devices, recently announced performance updates to its flagship business range, the Z Series, including benefitting from 6th gen Intel® CoreTM processors. With the addition of 6th gen Intel® Core™ processors, all new Z Series models deliver enhanced performance and new immersive experiences at the lowest power levels to date. Recent data released by United Overseas Bank (Malaysia) Bhd (UOB Malaysia) revealed that Malaysians’ love for travel continues to grow, with more than half a billion ringgit spent on overseas travel in 2015. It also confirmed Malaysians’ preference for destinations within Southeast Asia and closer to home, such as Singapore and Thailand. The data, mined from the spending patterns of all UOB Malaysia personal credit cardmembers, showed that Malaysians spent more than RM700 million on holidays in 2015. Huawei announced today that the company has signed a Memorandum of Understanding (MoU) with the Sabah state government in ShenZhen. 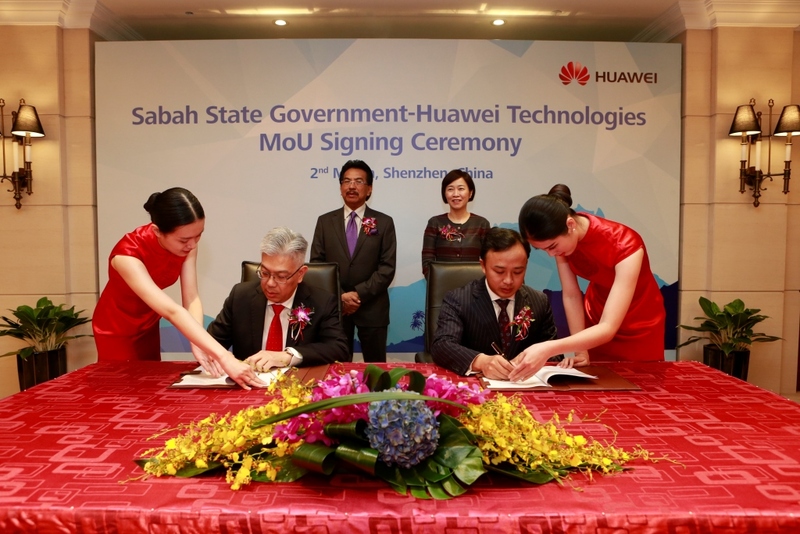 The signing, which was witnessed by Sabah Chief Minister Datuk Seri Musa Aman and Madam Chen Lifang, Huawei Senior Vice President and Member of Board, is for a collaboration between both parties to enable Sabah achieve its target of becoming a regional ICT hub and smart state. A joint Working Group will be formed to oversee the smooth implementation of this collaboration. Huawei will also be providing expertise based on its experience over 170 countries on smart state planning, including smart tourism, safe city solutions, talent development, to strengthen Sabah’s border security and key industries such as tourism. Companies need more than endpoint protection to stay secure in an increasingly complex cyber-threat landscape and Kaspersky Lab is today announcing two new enterprise security solutions that will help to meet this need. The Kaspersky Anti Targeted Attack Platform is a premium solution based on the most advanced technology to date and draws on Kaspersky Lab’s expertise in the detection and analysis of the world’s most sophisticated threats. Kaspersky Security Intelligence Services will help businesses to strengthen all aspects of IT security. Both offerings reflect the company’s commitment to the faster delivery of security intelligence to customers in the form of protection. 2015 marked a turning point in the evolution of threats and their perception by business: companies fully realized that merely defending the corporate network perimeter was no longer enough. Although protecting the boundaries from generic attacks remains important, it is clear that businesses also need to be able to detect a targeted or advanced cyberattack in progress. Genesys, a market leader in omnichannel customer experience (CX) and contact centre solutions, expands its Asia-Pacific footprint with the addition of new partners in Southeast Asia, Australia and New Zealand. Representing an ever increasing commitment to driving customer satisfaction, this network sees Genesys together with the partners chosen by the customer, working as a team in the delivery and implementation of comprehensive, world-class solutions. Also known as the Genesys Partner Network Program, the growing network spans the entire ecosystem of the omnichannel customer experience and includes strategic alliance partners, service partners, technology partners, value-added resellers, and independent consultants, all available to help partners increase operational efficiency with online tools, training and support, while exploring new business opportunities and achieving profitability. The programme was showcased at the Genesys 2016 regional partner conference in Bangkok, Thailand last week, which saw over 100 regional and local partners in attendance. Both customers and partners including Cleartrip, Siam Commercial Bank, Hewlett Packard and Jabra, shared their experiences working with Genesys with the partner community. Acronis®, a global leader in hybrid cloud data protection, today announced new releases of its Acronis Backup and Acronis Backup Advanced solutions, and its Acronis Backup Cloud solution. 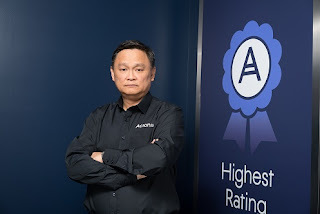 Ideal for small to medium-sized businesses (SMBs), the new Acronis Backup solutions combine higher performance, quality and reliability with new features that make the buying and upgrade process seamless and easy, including a simple step up to the future Acronis Backup 12 solution. Extended Operating System Support: Complete support for Microsoft Exchange® 2016, Microsoft Windows® 10, Microsoft Windows Server® 2016 Tech Preview 4, VMware vSphere® 6, Linux® kernel up to 4.4, and Red Hat Enterprise Linux® 7.x. In view of the rapidly evolving e-commerce market, 11street, the online marketplace that offers extensive product variety at competitive prices, officially introduces its renewed Shocking Deals optimized on mobile app to further enhance user’s experience while finding what they loved on 11street. The enhanced 11street’s mobile app is introducing ‘Hot Deals’, – which will feature Top 100 of the most sought-after Shocking Deals products all listed together makes easier for people to find the best selling products and services’ deals.